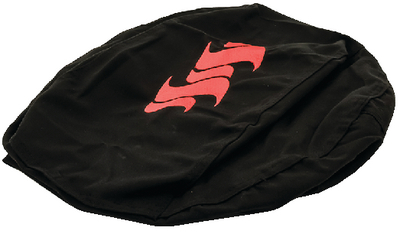 The Camco Kuuma Grill Cover will help keep your kettle grill looking new, even when the elements outside are harsh. The drawstring helps ensure a snug fit so that the cover won't come off, even in wind. The Camco Kuuma Kettle Grill Cover is great for storing your grill when not in use. Durable, UV and weather resistant fabric. Compatible with Kuuma Kettle Gas and Charcoal Grills.